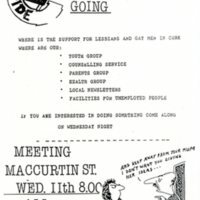 Information Sheet containing notice of forthcoming meetings and work of sub-groups of the Cork Lesbian and Gay Community Project in 1984. 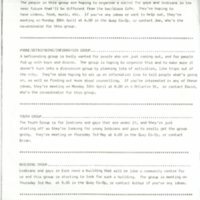 Social Organising Group. 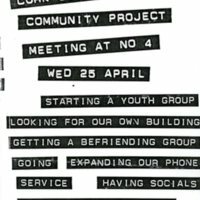 Phone/befriending/information Group. Youth Group. Building Group.